BC Historical Books: This collection contains almost 2,000 books about and/or published in British Columbia. Three bibliographies of British Columbia, published by the Social Sciences Research Center at the University of Victoria (B.C.) between the late 1960s and mid-1970s, provide the foundation for this project: “Laying the foundations” (1849-1899), “Navigation, traffiques & discoveries” (1774-1848) and “Years of growth” (1900-1950). 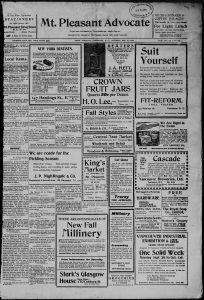 BC Historical Newspapers: Through this collection, researchers can access over 150 newspapers from all across British Columbia. This collection has over a century of history! BC Sessional Papers: This collection consists of papers from the Legislative Council of British Columbia and the Legislative Assembly. It has documents that depict the history, politics, economy and culture of BC from 1876 to 1982. British Columbia History: British Columbia History is a quarterly magazine chronicling BC’s history and communities. It contains photographs, maps, book reviews, and more. This collection spans from 1924 to 2007. 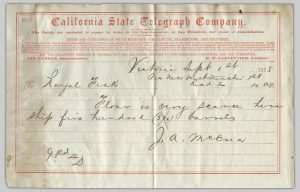 If you are interested in knowing more about the Gold Rush, check out the Royal Fisk Gold Rush Letters collection. Also, remember to check the posts on the Digitizers’ Blog, because you can find more materials about the topic outside this specific collection. 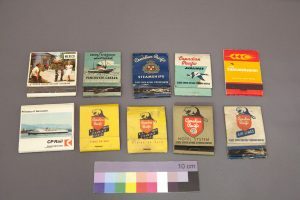 The Chung Collection: This collection contains books, archival documents, artifacts and photographs about the Canadian Pacific Railway Company, early British Columbian history, and immigration and settlement in BC. Doug and Joyce Cox Research Collection: This collection is a great resource for those interested in researching the history of the Okanagan and surrounding areas. It has thousands of photographs, hundreds of maps, B-sides of audio cassettes, VHS cassettes, and other materials. Bullock-Webster Fonds: This collection contains H. Bullock Webster’s sketches about the social life around the Hudson’s Bay Company posts during the period of 1874 to 1880. Chinese Canadian Stories:This collection contains audio and video recordings, photographs, manuscripts and documents, subdivided into ten sub-collections that tell the stories of Chinese Canadians. Japanese Canadian Photograph Collection: This collection depicts the experiences of Japanese Canadians in British Columbia. It is a great resource for researchers interested in how Japanese nationals and Canadians of Japanese descent were treated during the World War II. Okanagan Historical Society Reports:This collection contains annual reports depicting the history of families, businesses, events, and individuals from the Okanagan Valley. Tairiku Nippo (Continental Daily News): This publication was an important source of information for Japanese immigrants in British Columbia, before World War II. It is a great resource for researchers interested in studying the Japanese community in BC, immigration, the impact of war, etc. Uno Langmann Family Collection of British Columbia Photographs: This collection is a comprehensive resource of photographs of early British Columbian society and history. There are over 5,000 digitized photographs from the 1850s to 1950s. Capilano Timber Company Fonds: This collection contains photographs depicting the operations of the Capilano Timber Company. MacMillan Bloedel Limited Fonds: This collection contains documents from MacMillan Bloedel and its predecessor companies. MacMillan Bloedel was one of the largest forest products companies in the world. Peter Anderson Fonds: This collection contains materials documenting logging operations in British Columbia and the life of Peter Anderson, a Swedish immigrant to British Columbia who founded a logging company at Knox Bay. 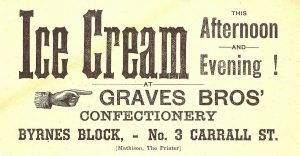 Mathison Collection: This collection is about the predecessor company to the well-known Evans & Hastings: R. Mathison Printing. The collection contains promotional materials and business stationary, materials printed by the company, and business cards printed by R. Mathison. Rainbow Ranche Collection: This collection is a comprehensive resource for research about the Rainbow Ranche company, one of the first independent fruit ranches in the Okanagan. It contains correspondence, ledgers, payroll documents, and other related materials from the early 1900s. Yip Sang Collection: This collection contains materials about the life of Yip Sang, including records and account books from the Wing Sang Company, an import and export firm founded in 1888.